5 days until Chattanooga AQS QuiltWeek®. Rapid-fire post #3. In addition to the AQS quilt show at the Chattanooga Convention Center, here are two other quilt exhibits for your viewing pleasure. My friend and fellow ATC artist, Karen Downer, curated the exhibit that is now hanging at the Bessie Smith Cultural Center. 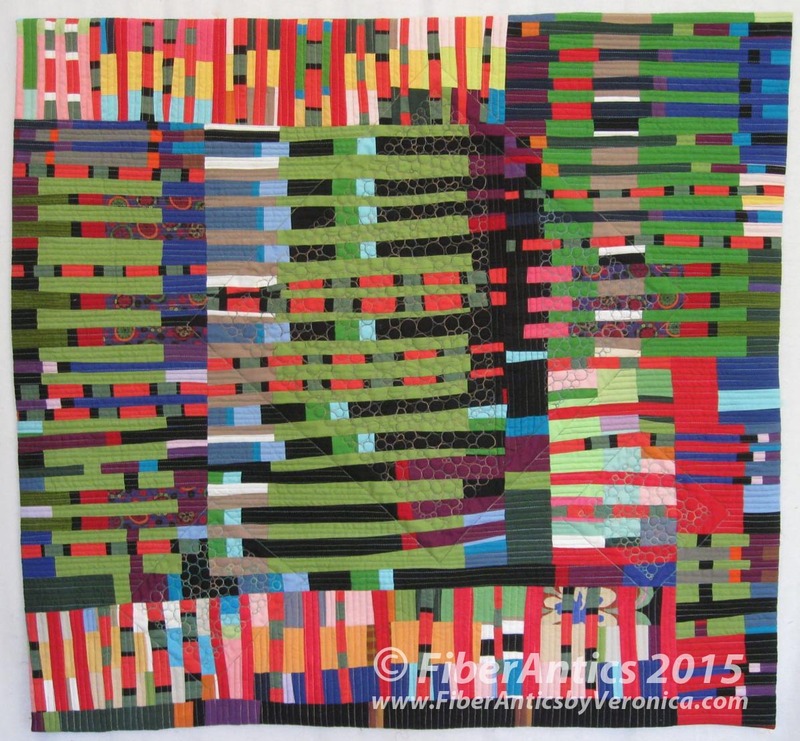 Twelve quilts, representing a variety of quilt styles and techniques, were made by Chattanooga area quilters. 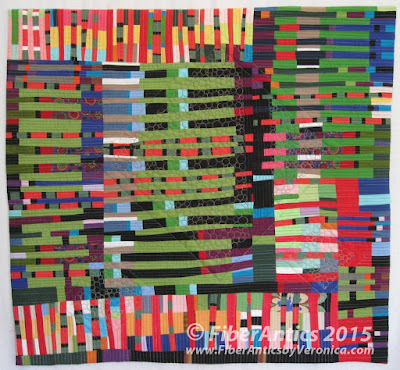 "Marketplace," one of my improv quilts, is among the twelve. 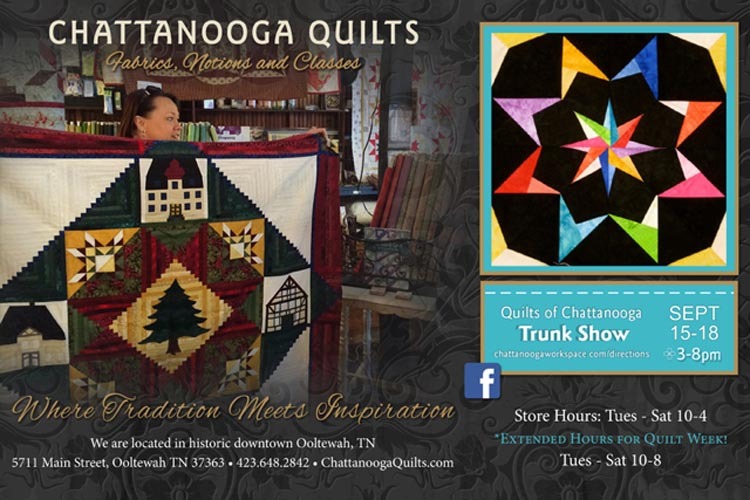 Chattanooga WorkSpace is also hosting a "Quilts of Chattanooga" Trunk Show September 15 - 18, from 3pm to 8pm. This exhibit, sponsored by one of our wonderful local quilt shops, Chattanooga Quilts, is a delightful collection of quilts made by patrons of the shop. Chattanooga Quilts Trunk Show, September 15 - 18 from 3pm to 8pm. WorkSpace is located downtown, across from the downtown YMCA. At last year's trunk show, there was artwork by local artists, hand-crafted ceramic mugs and fabric bundles available for purchase. Need a unique holiday gift? Might wanna check this out! There is also going to be a display of small format quilts based on the Game of Thrones TV series at Spool Quilt Shop, on Friday evening, September 18. All the quilts use a specified selection of Peppered Cottons designed by Pepper Cory. Tickets for the exhibit, called "Game of Quilts," are on sale at the shop.